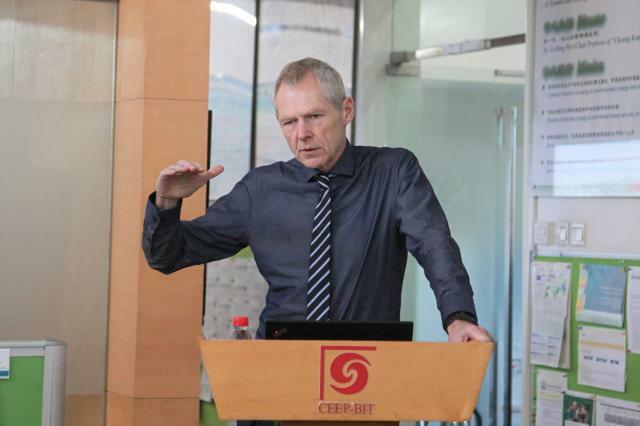 At 10:00 on December 6, 2018, Prof. Manfred Fischedick, from University of Wuppertal, was invited to visit CEEP and did an academic report entitled "Energy system transformation (Energiewende) in Germany: targets, current status and future challenges of an ambitious endeavor ". This report was hosted by Prof. Yu Hao , many teachers and students attended the report. Prof. Dr. Manfred Fischedick is the Vice President of University of Wuppertal and Director Future Energy and Mobility Structures Wuppertal Institute for Climate, Environment, Energy, and a Professor at Schumpeter School of Business and Economics (University of Wuppertal). At the beginning of the report, Prof. Dr. Manfred Fischedick presented the targets of the energy system transformation plan in Germany (which is often named as “Energiewende”) and compared it with the current status. Where Germany is on track and where substantial gaps are to be closed. While the market deployment of renewable energies in the electricity system is even faster than expected and outlined in the energy concept, greenhouse mitigation and energy efficiency improvement lay behind the targets. Then Prof. Manfred Fischedick introduced how the German government is handling the gaps and how the current situation influences the energy and climate policy in the country. Besides others the development of a climate protection law (foreseen to be launched in early 2019), a climate protection plan process involving the most relevant stakeholder groups and a commission dedicated to touch on the necessary structural changes in the system and their social and economic consequences (particularly a step by step phase out of coal) will be relevant milestones for the near future. Besides, he explained the various challenges which are associated to the energy system transformation pathway. In addition to technological challenges (e.g. system integration of a fast increasing amount of renewable energy based electricity generation with a volatile supply characteristic) and economic challenges social, cultural, institutional, infrastructure and political challenges have to be taken into consideration. As such the energy system transformation pathway can be seen as multi-dimensional optimization problem. At the end of the talk, he discussed the importance of international cooperation as well as the need to improve and intensify experience exchange between forerunner countries. In this context a more in-depth exchange of knowledge and common initiatives between China and Europe are inevitable. 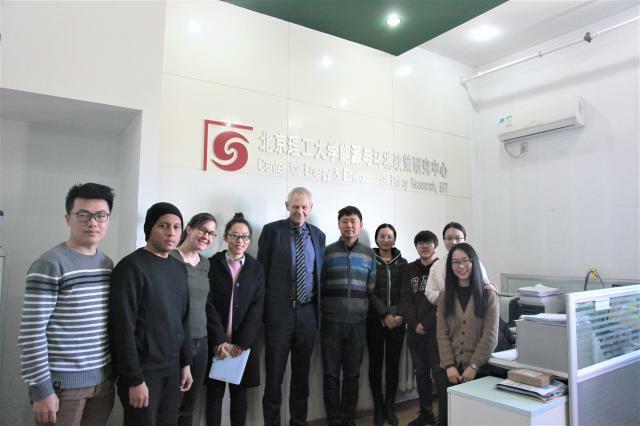 After the report, Professor Manfred Fischedick took the picture with teachers and students at CEEP together.